The perfect cache container when you prefer to use an ammo can but don’t have a lot of space to work with! Measures 1 and 3/4 inches by 1 inch. 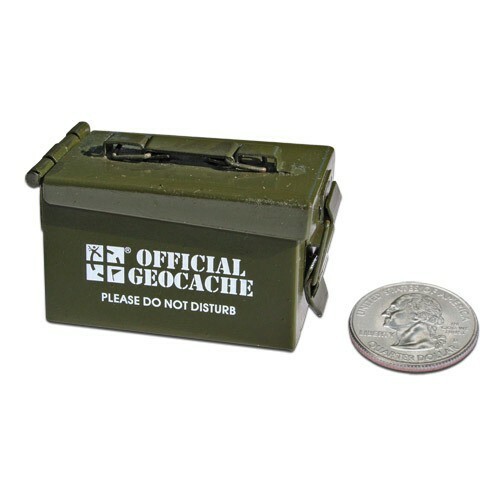 Note: Some ammo cans may not display the official Geocaching logo. © 2018 Caching.co.za. All Rights Reserved.